As January is quickly winding to a close, I know that most of you are wondering if we are going to hit our estimated date of February for the opening of Alpha Testing. Well, I wish I could say we weren’t wondering as well. As anybody who has read our updates and/or looked at our website knows, we are still desperately short on programmers. The team is working hard, and our IT folks can attest to our continuing flow of bug fixes, improvements, and new features, but time is getting tight and we know it. It’s going to be a squeeze, and we have a lot of things on our schedule for the upcoming month, so I can’t promise that we’ll be ready in time. Fortunately, if we have to delay the opening of Alpha, it won’t be as long as another six-month delay. That much, I can promise. First pass ability crafting UI. Various improvements to store – responsiveness and caching. Character Art Pipeline – First pass texture decaling. Integrate client/server commands compression into new proxy code. Second pass Crafting doc (we swapped this out with the mage vision doc). Improvements to physics accuracy at a distance. Assertions now tracked by CrashReporter. Improved UI responsiveness when not auto-connecting and general UI stability. Optimized and updated Stormrider with new master rig. Improvements to client and server syncing during jumping. 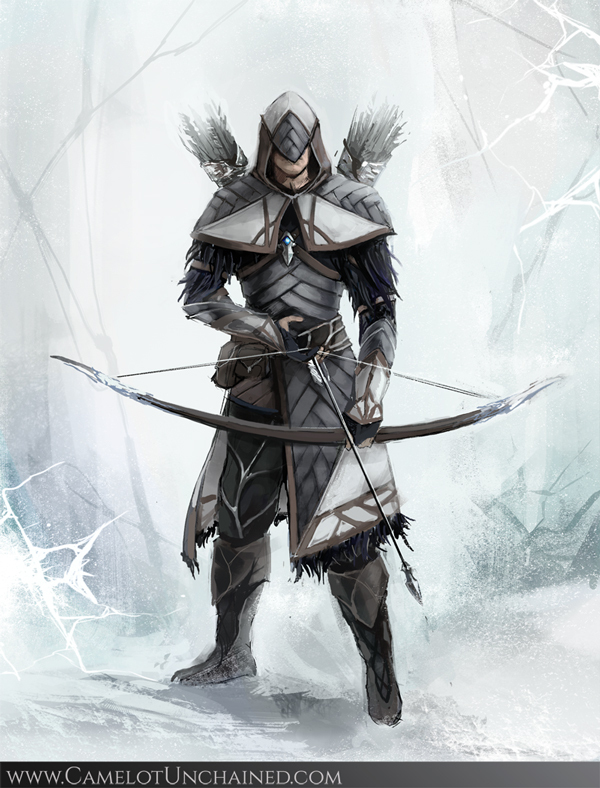 1st and 2nd pass medium armor TDD archer concepts. 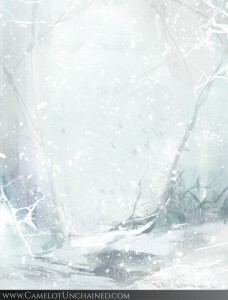 First Draft Jötnar Becoming story. Player can now queue an ability while moving. So, while we are still a small team, our guys are still churning out fixes, improvements, etc. to the core engine, and we are also getting close to having the first pass of our ability crafting system ready to test in IT. We were hoping to get a P.A.T. test this week, but we’ve got one nasty bug that we are still trying to track down. While the last test of the engine went great, when this bug rears its ugly head, it prevents additional connections to one of our servers. Rather than showing something sub-par and having a lot of disappointed people today, we’re going to spend a little more time tracking that bug down. Other than that showstopper, everything is moving along nicely. Andrew has been working on client optimizations (with more to come), so performance keeps improving. We also have a major change going in regarding how we handle client connections, which will help those players who have less reliable Internet connectivity. Besides the technical work being done here, we are also getting closer to a full reveal of our ability crafting system (in-game), and a presentation of our crafting system to our Backers. The crafting system vision document (29 pages and counting) is currently up in our IT section for discussion and dissection by our IT folks. Next week, we will make it available to our Alpha Backers, and after getting their feedback, we’ll have a full presentation to everybody. Slow crafting = rewarding crafting. You are what your minerals say you are. Recipes are great for cooking but not for our crafting system. Buying/selling shouldn’t be a PITA, even with no Auction House. Rarity of minerals should be embraced. Nothing in this list should come as a surprise to our crafters, as I’ve been talking about them since even before the Kickstarter. As many of you know, I’ve used some of these same ideas in other games (including my MUDs), but I hope you find these philosophies reassuring regardless. On the art side, we have some great 2nd pass pieces on some of our TDD archers. Our approach with these guys and gals is a wee bit different than most games. What I wanted Michelle and Sandra to work on were archers who might be wearing a bit of, now, what’s that word? Oh yes, camouflage. 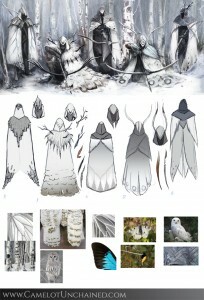 J So, here are some 2nd pass concepts for what the appropriately-dressed TDD archers are wearing during the winter. 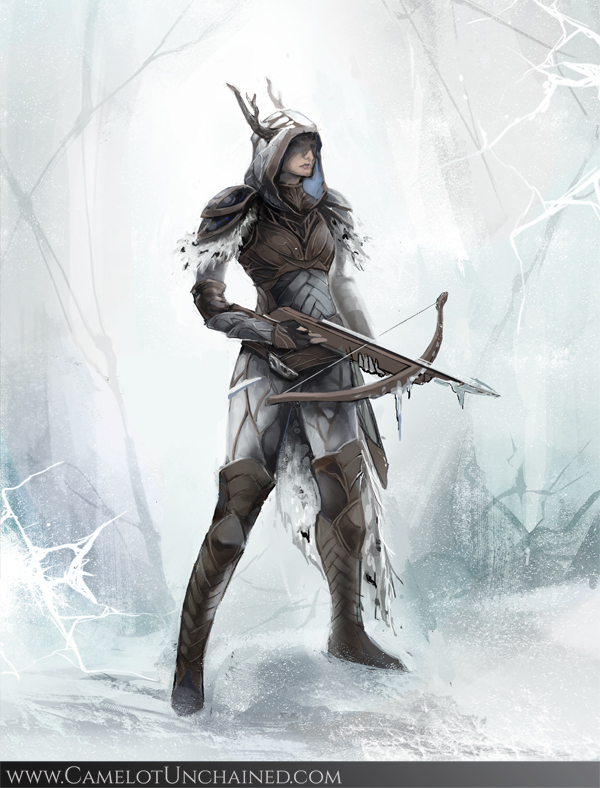 We also have some other bonus archer artwork that I think you’ll like. First up is a piece from Sandra. 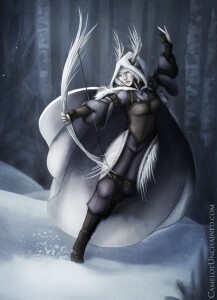 This TDD archer is certainly not your average female archer. And yes, Sandra did manage to sneak a pointy ear into her concept. Next up is crossbow-wielding TDD archer. Was that item crafted by her Realm, or does it seem more like something that would belong to another Realm? Discuss! Here’s another piece from Michelle, a male TDD archer this time. As a bit of bonus art, here’s some head shots from the TDD by Sandra. Here’s another group shot by Michelle showing the evolution of the archers, along with her influences. 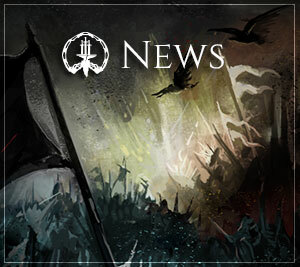 From the lore/writing side of the studio, we have today’s newsletter ,which has a bunch of good and glorious stuff as always, as well as another updated Becoming™ story about the Úlfhéðnar (Berserkers). It’s a bag that is stuffed to the Max (see what I did there? Sorry…) with all manner of art, design, programming, and lore updates. I hope you enjoy this issue of Unveiled! As many of you know, we are also moving along nicely with our next Stretch Goal, “Hug the World.” We’ve asked for art tests from three promising candidates, and we’re hopeful we’ll be able to get some additional help from at least one of them quite soon. In terms of the Sound Engineer, we are down to the final selection process. We have five candidates who have made it through the 2nd round, and I’m now in the “See Mark be very confused” stage, because all of these candidates are great and would bring a lot to the studio. After I sent out a message to the candidates letting them know about the delay and apologizing for it, one of the candidates sent back an awesome reply which read, in part, “Thank you for your honest email about the situation. I am honored to be in the running for the position. I do know of one way in which we may be able to choose a winner: DDR. Yes, Dance Dance Revolution is the time honored tradition used within the audio community for situations like this. The participants must dance and step to their own compositions as well as the compositions of their opponents.” So much win, there! Like I said, we have a great group of candidates. Well, that’s it for today’s update. As of this writing, we are still trying to sneak in a late test of the current Wyrmling build. Hopefully we’ll be able to have an IT test later today, and if all goes well, another P.A.T. next week. P.S. Here’s another bonus bit of art from Michelle.